The story of Yeh Shen first appeared in 9th Century China, over 1,000 years before the first European Cinderella story. Now Yellow Earth and Vicky Ireland have reimagined this timeless tale to celebrate Chinese New Year. A beautiful and enchanting tale of a young orphaned girl, a magical fish, a nasty stepmother and sister, and a lost shoe. Will Yeh Shen be able to attend the New Year Festival? How can a fish, a dragon and a horse help her? Will she ever find happiness? And what happens to the shoe? 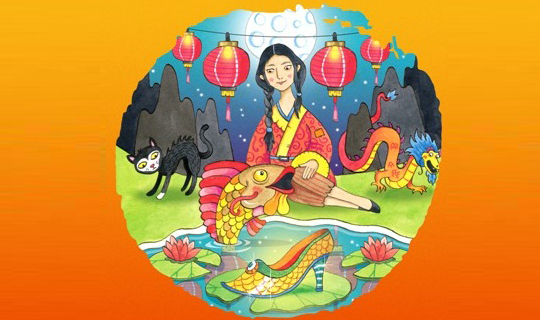 Yellow Earth is bringing a new version of this timeless tale to life with puppetry, live music, elements of Beijing Opera and all the excitement, colour and sounds of the Chinese Spring Festival. ★★★★★ What’s On on Why the Lion Danced.